Be the first to hear about their new releases and deals. Download the Booksprout app and search for Zeena Nackerdien today! Zeena Nackerdien obtained a Ph.D. degree in Biochemistry from the University of Stellenbosch in South Africa. 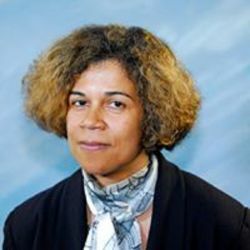 Zeena has been a research chemist at the National Institute of Standards and Technology in Maryland and a senior research associate at The Rockefeller University in New York. She is the author of several publications in scientific journals and has also written many books in different genres. As a scientist turned patient advocate and writer, she is intensely interested in building relationships with people from different cultures through story-telling and education. Zeena currently lives in Brooklyn, New York.